The autumn edition of Would You Rather contains over FIFTY clever, thought provoking, and sometimes silly questions for all ages. Kids of all ages LOVE Would You Rather questions! 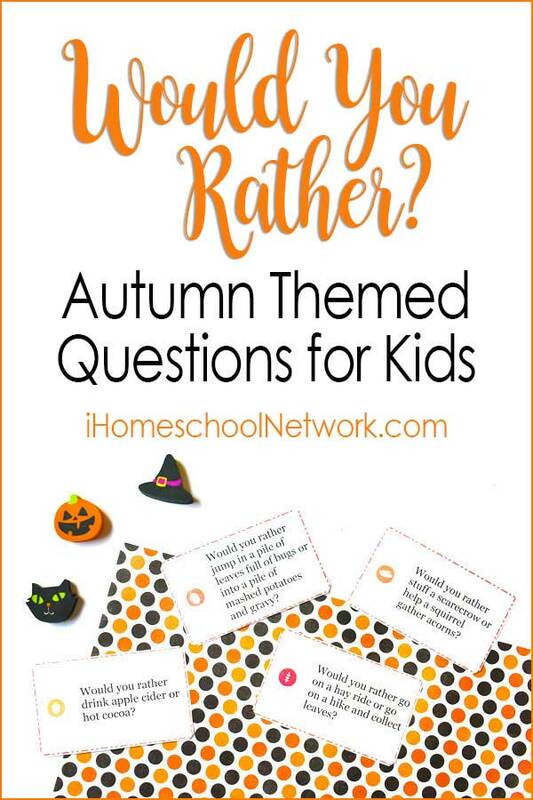 This booklet is full of 50 questions centered around autumn, Halloween and Thanksgiving. 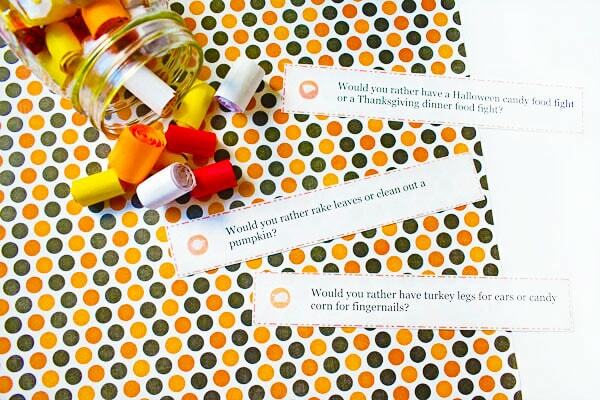 have a Halloween candy food fight or a Thanksgiving dinner food fight? live in a house made from hay bales or corn stalks? have turkey legs for ears or candy corn for fingernails? wake up a bear that’s begun to hibernate or be locked in a room of squirrels? stuff a scarecrow or help a squirrel gather acorns? have a mini gourd as a nose or corn cobs for feet? have to balance a pie on your head during dinner or eat wearing a football helmet? In this digital resource, you will receive THREE different formats: rectangular cards, thick strips, and thin strips. After printing and cutting them in your preferred size, you can laminate them or even store them in a jar. I do not see a print option. I would love to use this. Could you help me with the download? This is for subscribers. Simply fill out the form on the page and you will get it via email.